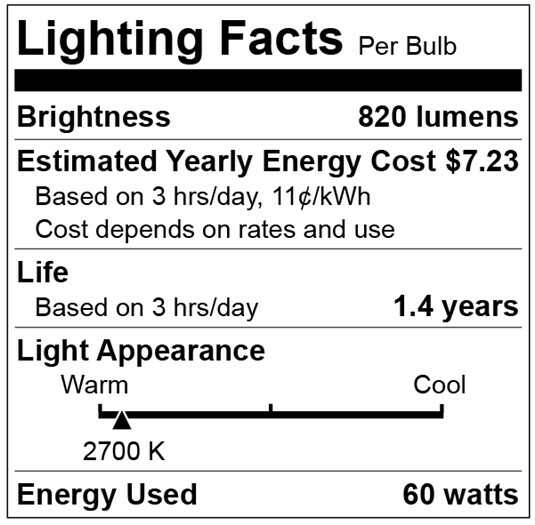 Word has it there’s been some confusion as to whether the FTC’s “Lighting Facts” label requirements are still in place. So we thought it would be a good idea to shed some light on the issue. The FTC’s requirements at 16 C.F.R. Part 305 still apply and, what’s more, nothing has changed: The FTC’s black and white Lighting Facts labels, like the one below, must still appear on packages for general service lamps and specialty consumer lamps. Confusion may have arisen due to the closure of the voluntary DOE LED Lighting Facts® program, which is separate from the FTC labels. On March 1, 2018, the DOE stopped accepting new lighting facts products for that agency’s program. The end of DOE’s program does not affect the existing consumer Lighting Facts labels that the FTC Rules require.